Mon., June 25, 2018, 6 p.m.
MOSCOW – Eight teams have secured spots in the knockout stage at the World Cup after the chaotic conclusions of Monday’s matches. Nine teams have been eliminated. Fifteen teams still have a chance. With two groups finished and six still playing, here’s a look at who’s in, who’s out and possible scenarios at the World Cup. Uruguay locked up first place with a 3-0 win Monday over Russia, which advanced anyway after winning its first two matches. Uruguay will play Portugal on Saturday in Sochi. Russia takes on Spain on Sunday at Luzhniki Stadium, the larger of the two Moscow venues. Egypt and Saudi Arabia are eliminated. Spain emerged atop the group after simultaneous, frenetic finishes in the late games. Spain got a late equalizer in a 2-2 draw with Morocco and Portugal gave one up in a 1-1 draw with Iran. The 2010 World Cup champion Spaniards face the host Russians to start the knockout stage, while reigning European champion Portugal will play Uruguay. 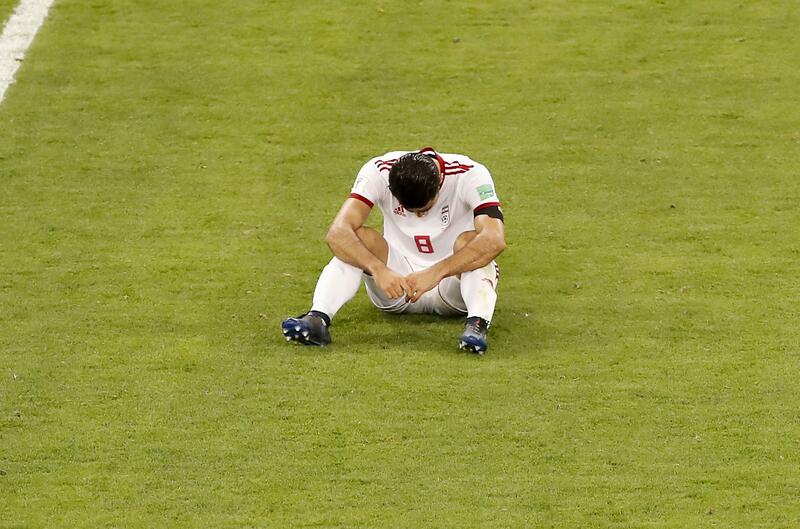 Morocco and Iran have been eliminated. Croatia has secured a trip to the round of 16 and tops the group with six points. Nigeria (three points) will advance with a win over Argentina (one point) on Tuesday, when Iceland plays Croatia. But Iceland (one point) or the last-place Argentines could survive with a win and a Nigeria loss or draw, depending on goal differential. Mexico leads with six points but isn’t safe yet. If defending champion Germany defeats South Korea on Wednesday and Sweden simultaneously tops Mexico, three teams would finish with six points, sending it to tiebreakers that start with the best goal differential. If Mexico and South Korea win, Mexico would top the group and the other three teams would be equal on three points. Japan and Senegal lead the group with four points apiece. Colombia has three and would advance if it beats Senegal, and both could go through with a draw if Japan loses. Poland has been eliminated. Published: June 25, 2018, 6 p.m.